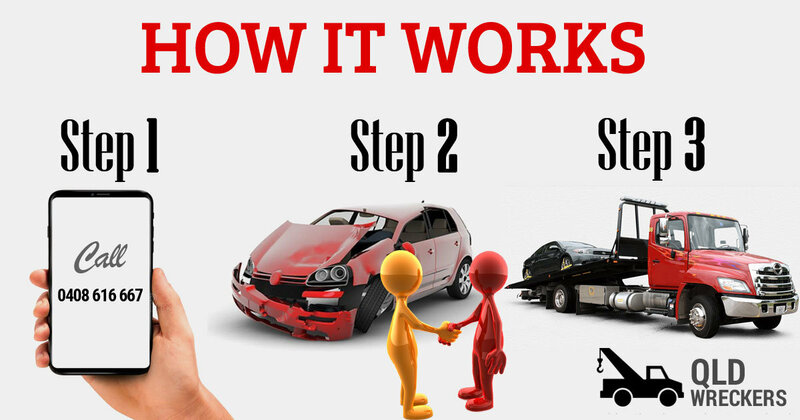 Here at QLD Wreckers we cover the entire of Queensland with our superior car removal and cash for car services. If you live in any of the following areas, and you have a scrap car on your lawn, gathering rust and making the neighbourhood look like a junkyard, you have no excuse to procrastinate any further. You need to get in touch with us as soon as possible so you can take advantage of our top cash offer! Do you live in Rocklea? Do you require the speedy sale of your car for the purposes of procuring some quick cash? Alternatively, perhaps your old vehicle has recently broken down for the last time and you don’t know how to get rid of it. We will buy it off you. And we will pay the maximum amount of money that it could possibly be valued at. We cover the nearby areas like Coopers Plains & Salisbury as well. Are you in need of a way to get rid of a vehicle that no longer serves its purpose? Maybe this is due to extensive damage which is too expensive to fix. It is understandable that you may think that no-one would ever want to buy a car that has had its day. But it isn’t true. QLD Wreckers will buy it. We will also remove it from your property for free! The Gold Coast is known for being a picturesque place to live. Don’t ruin this by having a junk car on your property. Get in touch with us. We pay handsomely for junk vehicles of all shapes and sizes. Whether it is a truck, car, van, Ute, SUV or 4×4, we will not only give you top dollar for that vehicle. We will also use our removal equipment to haul it off, free of charge! When a vehicle gets so old that multiple parts all fail at once, it is often a waste of money to fix. You would be paying the same amount to purchase a replacement automobile. So, what are you going to do with it? Don’t just leave it on your driveway. Sell it to us! We will even remove it from your property after we pay you. There is an old saying: “A clunker is worth more money than you think.” And nowhere is this more or less true than in the great town of Toowoomba. That junk car lying about on your lawn can be converted to cash. All you need to do is contact us! If you don’t, that vehicle is just going to be eaten by rust, and when you do finally sell it you will get paid much less due to its deteriorated state. Our truck wreckers are always busy visiting Toowoomba locations. No-one likes the sight of a scrap car in their neck of the woods. If you are harbouring one of these automotive vermin on your property, no-one would be happier to see it go than your neighbours. But don’t go thinking there is nothing in this for you. Because we don’t only remove the car from your property for free. You also get paid lots of money! Note: Due to long distance & limited resources, we only buy good condition 4x4s, Utes or vans from Townsville area unless you are able to drop off vehicle to our scrap yards in Rocklea yourself. Is there anyone in Townsville that you know who wants to get rid of a car as quickly as possible? Perhaps they need some fast money to pay off debts. Whatever the reason is, we buy cars within the same day that we are offered them. Plus we pay top cash as well. If this sounds like you, don’t waste another second and sell us that vehicle today! QLD Wreckers invite anyone living in Caboolture who has a car that they want to sell within the space of one day to drop us a line. The fastest method for selling automobiles is by selling to us! The same thing goes for junk automobiles. Don’t just leave that scrap vehicle sitting outside your house. It is an eyesore and may even be bringing down the property values of surrounding dwellings. Contact us and sell it for a handsome amount of cash. You won’t be sorry! No-one likes it when their old car breaks down. It is even worse when the mechanic tells them that they may as well junk it and get a new one, as the repairs would be quite expensive. If this has happened to you, you might feel like panicking. You were planning on selling it, but who would buy it now? Well, it just so happens that we will. That is right. And we will happily pay you more than you thought it was worth as well. You will be pleasantly surprised. Get in touch with us today by either calling us or filling out the form on our website. Finding a means to sell a car, regardless of its make or model, that has passed its used-by date, can be a struggle. That is why we are here. We want to make it as simple as buying milk from the dairy. If you live in Ipswich, luck is on your side. Especially if you have a junk car that you have no clue as to how to dispose of it properly. Why is this? Well, it has to do with the top cash that we pay in order to buy people’s old and unwanted cars, trucks, 4x4s’s, vans, Utes and SUV’s. If you have any of these, you need to drop us a line so we can buy it off you. We will also throw in a free removal to sweeten the deal! Dealing with a broken down automobile can be hard. But it really doesn’t need to be this way. If the cost of repairing it is going to exceed its value, you know that it is time to get in touch with the leading cash for cars-company of Queensland. That’s us! We will make sure that you get only the most money that your vehicle could possibly make. If your car runs just fine and all you need is a means to sell it as fast as within one day, we can do that too. Be sure to take advantage of our free removal service at the same time.